DO NOT UPLOAD TO ZEROCHAN OR ANYWHERE ELSE. The other picture I've known of for years & also sourced from the 20th Anniversary art book, this time Sakura-chan is black kitty. This also happens to be one of my favorite costumes of her from the series. In fact, I even own a doll with this costume. 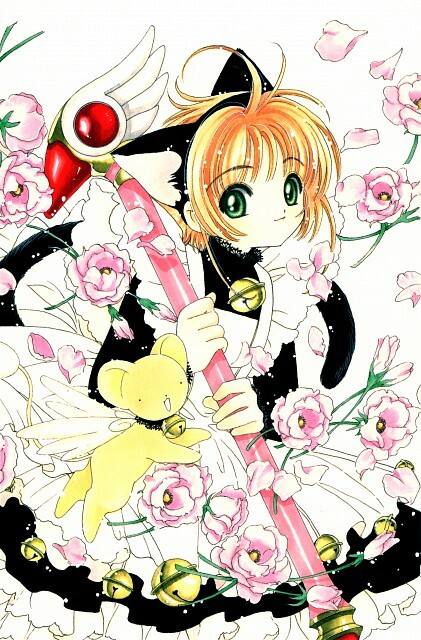 None else can make super cute and stylish cat girls like CLAMP does, am I right or am I right? Right. Another one for "Cat Month" and the opposite of White Cat Sakura.